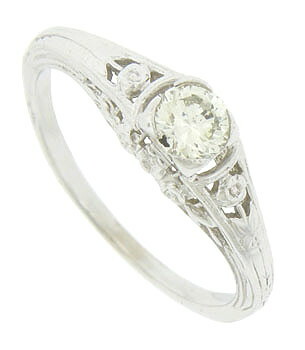 Romantic floral cutwork adorns the shoulders and sides of this 14K white gold engagement ring. 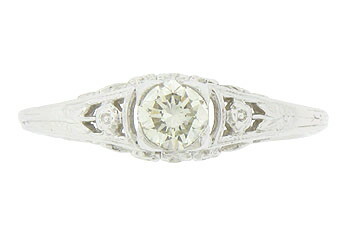 The captivating antique style ring is set with a .34 carat, I color, Si1 clarity round cut diamond. 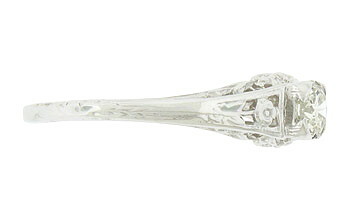 Delicate engraving details the precious blooms. 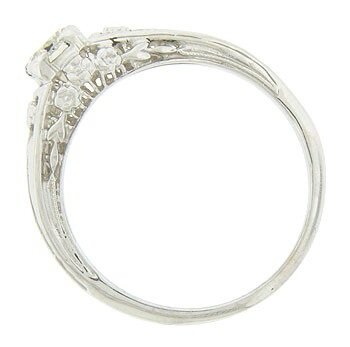 This glorious ring measures 5.41 mm in width. Size 6 1/4. We can re-size.